A favorite Cambridge (MA) Italian restaurant was closing its doors several years ago and I used to love its signature 'Linguini with Cheese Sauce" entree. The chef confided in me the Greek cheese that was the base for the sauce, namely Mizithra. I found the cheese in a hidden Greek grocery store in Boston's South End that eventually went the way of Development. Years later, on line I found Mizithra imported at a few sources and tried two. From one, Mizithra was tasteless and became moldy under refrigeration in two months, well before the expiration date. 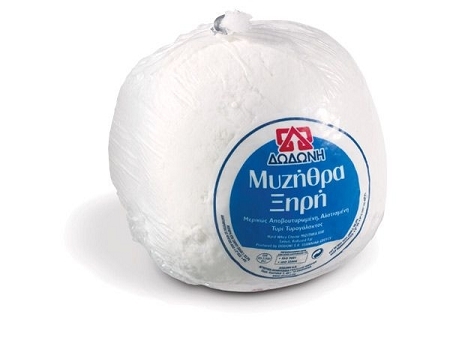 From Minos, Mizithra had the special flavor AND remained fresh for two years beyond its listed expiration date. I will only buy from Minos Imports.... forever.